This eponymous new CD from the Janet Lawson Quintet is wild, crazy and quite a bit different than many of the jazz releases I've been reviewing of late. Billed as an antidote to the perception that contemporary jazz has become "artistically moribund," with a market that has "shrunk to something of a rump," it sounds like something straight out of the '70s. 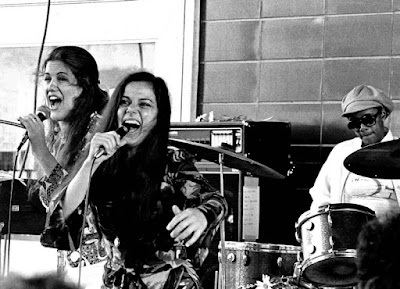 Is it politically correct to call something "hippie" jazz? You get Lawson's exuberant vocal improvisations that vary between Ella and Yma Sumac, occasional jazz flute flourishes, a big funky bass line and a steady diet of breakneck speed. I'm a bit taken aback by the liner notes, which claim that this is "quite simply one of the finest jazz records of the last 35 years." That takes us back to 1982, certainly not a Golden Era for jazz, but still I'm amazed at this level of hyperbole for a purely subjective art form. That aside, I think your opinion of this album will rest on whether or not you love Lawson's voice. She can be "out there," which is a familiar neighborhood in the world of jazz, but she is also supremely talented and has an wonderful range. But she's also on the manic side, in love with the energy that blasts from the stage and out toward a possibly stunned audience. As for her band, well, they have the chops all right. They also act as an anchor for her more esoteric tangents. Roger Rosenberg, who plays the flute and all the saxes, stands out in particular--Lawson is more than willing to stand back and let his evocative playing dictate the direction the song takes. The other musicians--Ratzo Harris and Mike Richmond taking turns on bass, Jimmy Madison and Billy Hart on drums and Bill O'Connell on piano--play as if they've been on the same stage for decades. The sound is tight and precise. When it comes to the best jazz album of the last 35 years, well, I've heard a lot of great releases just over the last year or so. In fact, just today I received the new Jane Ira Bloom release and I have high expectations after last year's Early Americans. 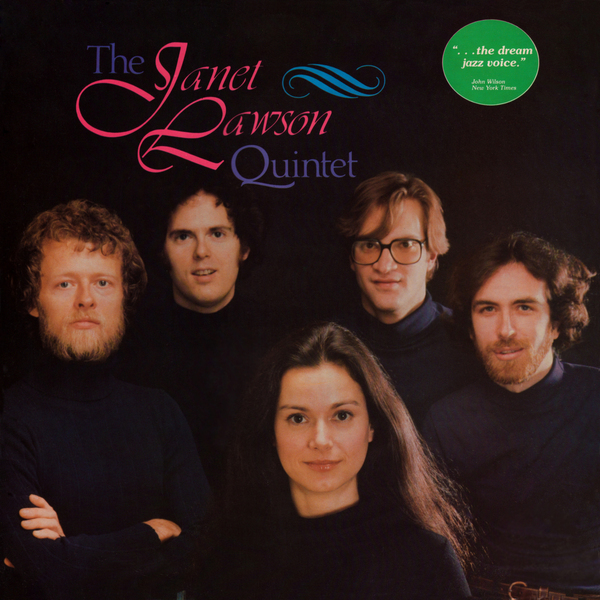 The Janet Lawson Quintet is certainly about excitement and energy and, most importantly, originality. It's good, really good. I'll leave the "Best of" awards to you.